Going to a new veterinarian can be a bit stressful, especially if your furry friend is hurting or unwell. This page gives you an idea as to how things are done at South Bay Animal Hospital so you know what to expect. Forms: No matter where you go, there will always be a bit of paperwork so we know who you are, the name and type of pet that is being seen, and how to contact you. Click here for forms that you can fill out with typing and print at home so you don't have to waste time in the lobby filling forms. This will save you time when initially checking in with our receptionists. Medical History: Please bring all medical records you have for your pet, especially prior vaccine history and any lab results you may have gotten. It helps to have a log of what problems you have noted, when they started, and whether they have worsened or improved over time. Behaviorial changes over time can also be important, along with changes in eating, drinking or elimination. If your pet is currently on any medications even flea control or heartworm preventative please let us know which brands as well as when they were last given or applied. Finally, take a photo of the foods that your pet is eating as that may be important information for the veterinarian to know. Physical Examination: The veterinarian will then examine all aspects of your pet, from their nose to their tail. Even if your pet has a simple and obvious issue such as an ear infection, a thorough physical exam can lead us to other issues that may be of a much greater concern (such as a mass in the abdomen). The veterinarian will relay their findings to you, and answer any basic questions you may have at that time. However, costs are something that are unlikely to be known until a treatment plan is made. Treatment Plan: The veterinarian will put together a diagnostic and treatment plan that is appropriate for your pet, given the history and physical exam findings. Remember, the veterinarian's job is to offer what they think is best for the pet, and it is the owner's place to decide what they can afford and what they will decline. The technican or veterinary assistant will go over the treatment plan to make sure the owner knows all the different options that are available and what may happen if certain items are not done. Once a treatment plan is agreed upon, it is implemented -- which may require taking the pet into the treatment areas to take samples, hospitalizing the pet, injections, or other procedures. Payment: If the pet is being hospitalized, there will be a 50% deposit required initially, with the balance to be paid upon discharge of the pet. If the treatments were solely of an outpatient nature and your friend is going home with you, the entire balance will need to be paid in full. 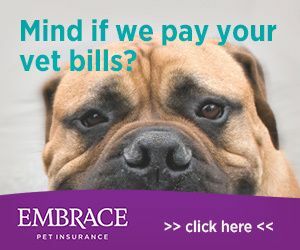 We understand that veterinary care can be expensive; options such as Trupanion Veterinary Insurance and Care Credit can aid you with managing these costs. Follow-up: Usually a technician, veterinary assistant or the veterinarian themselves will call you within a day or two of your pet's examination to make sure there are no issues and to answer any further questions or concerns that you may have. Some tests such as cultures and biopsies will take several days before the results are available, but we will try to make sure you know of any and all diagnostic developments with your pet. Of course, if you ever have concerns or things are not progressing as planned with your pet, please feel free to contact us in any of a number of different ways. Remember, we are open every day from 7am until 9pm, so please do not hesitate! We would much rather see a pet with a very minor issue than to leave something serious for several days because the owner did not want to bother us.